Bollywood heart-throb Ranbir Kapoor turns 34 today. We bring you some of the best movie moments of Ranbir Kapoor! Bollywood heart-throb Ranbir Kapoor turns 34 today. 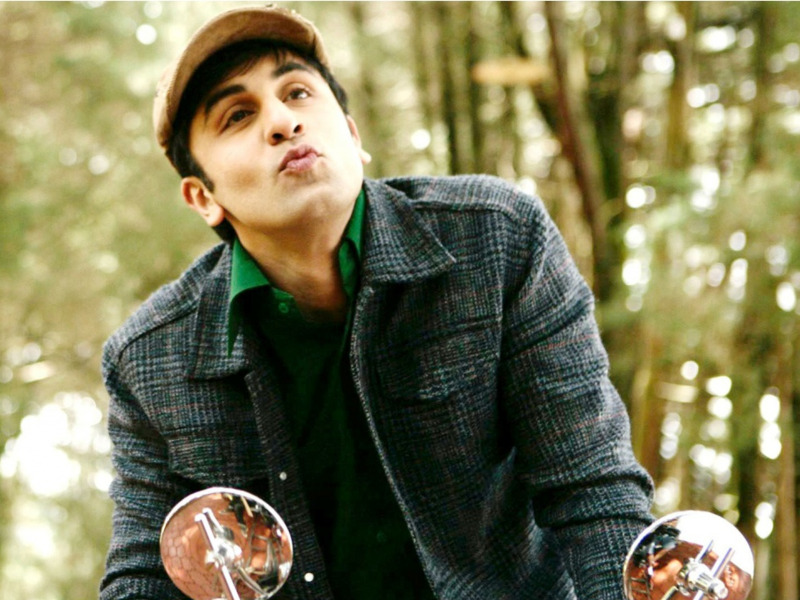 Be it the chocolate boy he played in Saawariya or the Casanova in Bachna Ae Haseeno, the affectionate partner in Barfi! or the simple Prem in Ajab Prem Ki Gazab Kahani, he has proved his acting skills over a range of characters. Ranbir’s controversies over his relationships and with his dad have always been on top, but one more thing that caught people’s attentions were his dialogues! Today we bring you some of the best movie moments of Ranbir Kapoor! 1. Main udna chahta hoon, daudna chahta hoon, girna bhi chahta hoon ... bus rukna nahi chahta! 2. 22 tak padhai, 25 pe naukri, 26 pe chokri, 30 pe bachche, 60 pe retirement ... aur phir maut ka intezaar ... Dhat! Aisi ghisi piti life thodi jeena chahta hoon! 3. Kal toh chala gaya, us pe koi control nahi ... aur aane waala kal toh tabhi sambhalega ... jab aaj kuch thik kar do! 4. Love, pyar, ishq, mohabbat ... jab hota hai, jisko hota hai ... duniya badal deta hai! 5. Tum abhi bachchi ho ... badi ho jao jaldi ... zindagi bitani hai tumhare saath. 6. Galat kaam karne ka koi bhi tarika sahi kaise ho sakta hai? 7. Toote huye dil se hi sangeet nikalta hai! 8. Tu list bana ... jitne bhi yeh tere keede hain na, un sab ki list ... maa kasam shaadi se pehle saare maar dalenge! 9. Hum apne baare mein jo bhi kahenge jhoot kahenge ... aur jhoot ke siva kuch nahi kahenge! 10. Wahi kahani phir ek baar ... Majnu ne liye kapde phaad ... Maar tamasha beech bazar! 11. (Tum karte kya ho vaise?) - Main apne dad ke paise kharch karta hoon. 12. Goals paane ki khushi tabhi mehsoos hoti hai ... jab usse kisi ke saath share kar sako! Which one is your favorite? Tell us below!